It’s difficult to imagine that in some places in the world, clean water is a luxury. The sad reality is that only privileged countries benefit from the technology and budget to filter water on their own dime. Even in modern countries, most rural residents have to break the bank to install filters out of their own pockets. Although there are centralized water treatment facilities in some countries, they will always use chemicals to kill bacteria and remove foreign odors and tastes from the water supply at the expense of the consumer’s health. On the plus side, there are a number of methods through which one can improve the quality of drinking water in his or her home. These are the so-called personal filtration systems. Why does one need a faucet filtration system? Well, big cities have issues with clean drinking water, like chemicals that can alter both the water’s smell and taste. In addition to this, most big cities have dated distribution networks, which mean that a lot of other contaminants can leak into the drinking water. In short, these filters are specifically designed to remove any impurities brought in by the water treatment facilities, such as minerals built up in the distribution network, chemicals used in the treatment process, and leaking heavy metals. Hence, a faucet filtration system is the way to go when the water is good enough for cleaning but could use an improvement if the water would be used for consumption. With that in mind, we have selected to review a particular faucet filtration system that you might want to consider purchasing. Waterdrop is a brand with extensive knowledge of the water and refrigerator filter market. They bring high standards when it comes to their products and also like to contribute to the greater good. Their #Water4Smile campaign channels part of their revenue to less fortunate countries in need of clean water. 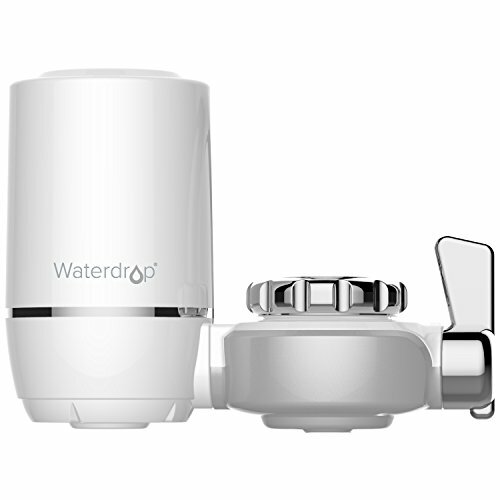 For you to better understand what the Waterdrop 320-Gallon Water Faucet Filtration System can offer, we will discuss some of its key features below. As a filter, this product is considered to be very effective since the water undergoes a five-stage filtration process. It has multiple mesh filters that act as a net for larger impurities, such as minerals and heavy metals, while the carbon fiber element removes chemicals, odors, and unpleasant tastes. In addition, the carbonated fiber filter has an advantage over other types of filtration systems. It is up to 100 times more fast-acting, the kind of filter that works great with running water. Also, they’re pretty dense, so they won’t allow the impurities to reach the final product. This product is small which is ideal for people who don’t have enough space to fit the kitchen with a countertop filter. It’s perfect for the snug and cozy kitchen. Moreover, it doesn’t use any other resources, so a quick filter swap is all that’s required to keep it running. The superior quality of the filters makes them last up to six months, or filter a maximum water volume of 320 gallons, whichever comes first. Typically, one filter is good for about two months or for around 100 gallons of drinkable water. That being said, this is clearly a good-value purchase since it allows the user to save even more money on consumables and maintenance. Additionally, with a high flow rate, this can filter 16.9 ounces or four bottles of water per minute. One thing that’s great about owning this Waterdrop 320-Gallon Faucet Filter is it is easy to maintain or clean. It does not require any special techniques and cleaning solutions. Just create a concoction which consists of a little amount of white vinegar (apple cider preferably since it’s a bit less intense) and dilute it with a few cups of lukewarm water. Soak the filtration system in the brew, and just rinse with warm water. If that’s not enough, then a very mild soap can be used to dissolve the impurities further. The health market is filled with so many promising products (on paper), so it’s easy for potential buyers to be confused and intimidated by the sheer volume of research that goes into making an informed purchase. Thus, let’s take a look at why the Waterdrop 320-Gallon Water Faucet Filtration System is so great by checking some of the competition on this specific segment. The pH Purify Superior Eight-Stage Faucet Filter is, in all aspect, a direct competitor to the Waterdrop 320-Gallon Faucet Filter. It’s around the same price point and is a compact size and easy-to-maintain and install faucet water filter. The problem is that it is made using poor-quality filters. Basically, its mesh filters get clogged right away, causing water to drip very slowly. In addition, the threading on the item is very short, making it incompatible with a lot of standard faucets. These aspects make it basically useless. 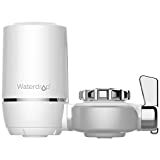 The question now is, “Why is the Waterdrop 320-Gallon Water Faucet Filtration System be a good choice for one’s kitchen?” Well, first off, the investment is small compared to the money saved on bottled water. It has a simple installation process wherein it just needs to be threaded onto a standard faucet, and it’s good to go. 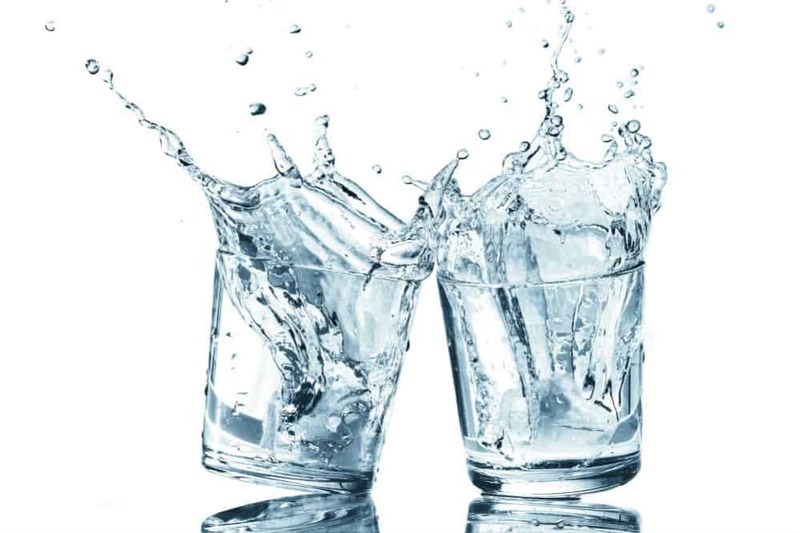 It also has filters that last for months and are potent enough to produce a high amount of clean and tasty water that is ready to be enjoyed by all members of the household. All in all, it’s pretty hard to find reasons not to get the Waterdrop 320-Gallon Faucet Filter.